Colorful, graffiti-style graphics revitalize the humble trucker cap. 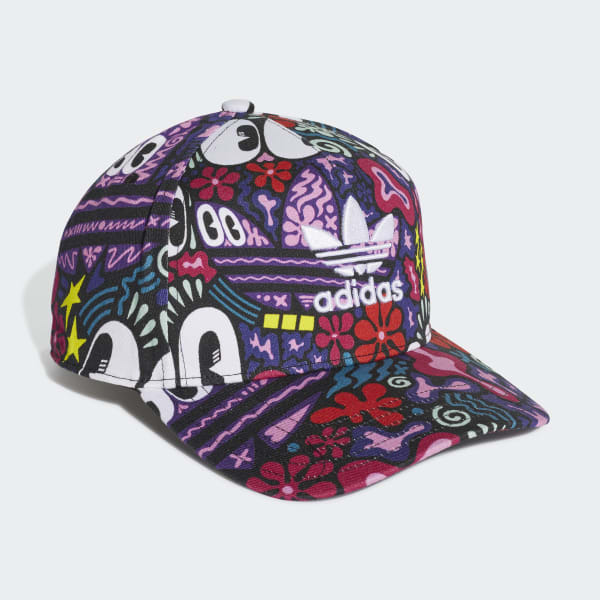 This twill trucker hat is a creative collaboration with London illustrator Hattie Stewart. 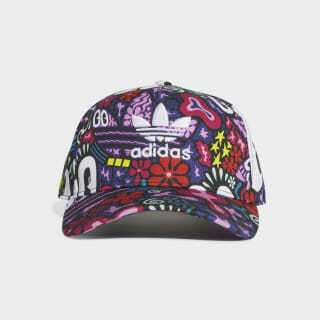 Flashing vivid, graffiti-style graphics, the hat reinvigorates a streetwear basic. The high-crown build is finished with a pre-curved brim and an embroidered Trefoil logo on the front.